AquaChek Chlorine / pH / TA Test Strips test for Free Chlorine, Cyanuric Acid, pH and Total Alkalinity 50 strips per bottle. To keep your pool at its best, test at each end a minimum of twice a week, and test your spa before each use. Its also a good idea to write down your results each time you test. 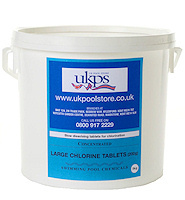 Total Alkalinity - in the range of 0 - 240 ppm - ideal range between 80 - 120 for pools. TA is defined as dissolved solids such as lime stone, calcium etc keeping your TA lower will reduce the build up of lime scale on the surfaces of the pool & associated filtration equipment, especially direct fired gas boiler heat exchangers or electric element heaters such as Elecro heaters or Thermalec heaters. If you are not sure if you are in a high TA area, simply inspect the inside of your kettle to see if there is a large build up of scale. Cyanuric Acid - in the range of 0 - 300 ppm - ideal range between 30 - 50 for pools. Cyanuric acid, also called stabilizer or conditioner, makes chlorine more stable when exposed to the suns ultraviolet rays. A low cyanuric acid reading indicates that chlorine will dissipate very quickly when exposed to sunlight. The most common way to decrease the amount of cyanuric acid is to drain and refill the pool. For example, if you drain and refill half of the pool water, you will decrease the cyanuric acid level by 50%. 1. Dip a strip into water and remove immediately. 2. Hold strip level for 15 seconds (do not shake excess water from strip). 3. 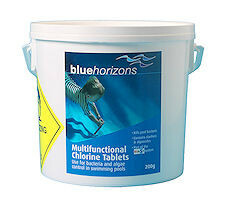 Compare Free Chlorine, pH, Total Alkalinity and Cyanuric Acid pads (in that order) to colour chart on label. Important: Keep cap on tight between uses.